We’re really excited to be relaunching our digital inclusion product, Buttons, this week, which represents a big step in the redevelopment of the tool and reflects considerable changes to the way we design products at Shift. Looking back to 2009-11, when we worked on a series of new products that aimed to help reduce social exclusion amongst older people, we didn’t have the experience or capacity to work through design phases that we now see as essential. This includes much higher levels of foundational research to establish an evidence based theory of change, early and ongoing assessments of the commercial potential of new product concepts and much more iterative, gradual development cycles. As a result, some of that batch of products failed quickly. And not in that kind of fail fast and often way that that Silicon Valley gets excited about, but the kind that comes from making too many assumptions about user needs. 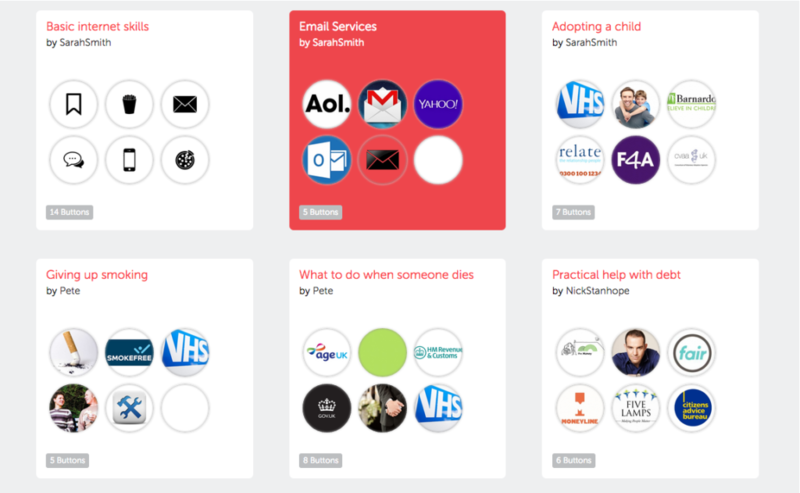 Despite that, two products from that range were able to thrive – our local social inclusion project, Historypin, and the digital inclusion tool, Internet Buttons. Historypin has built a community of 60,000 citizen historians and 2,200 institutions, who have delivered 1000s of local community projects all over the world and shared almost 400,000 materials and memories. Internet Buttons, through releases in the UK and 4 other European countries, helped 20,000 users benefit from better access to more sites and services online. Over the last year, we have had the chance to use what we’ve learnt to iron out some flaws that were built into these products in the early stages, which have been holding them back in their potential to grow further and have greater impact. Historypin will also be relaunched this year and we have shared thoughts on that redesign work here, which we will add to as we build up to the relaunch in the summer. 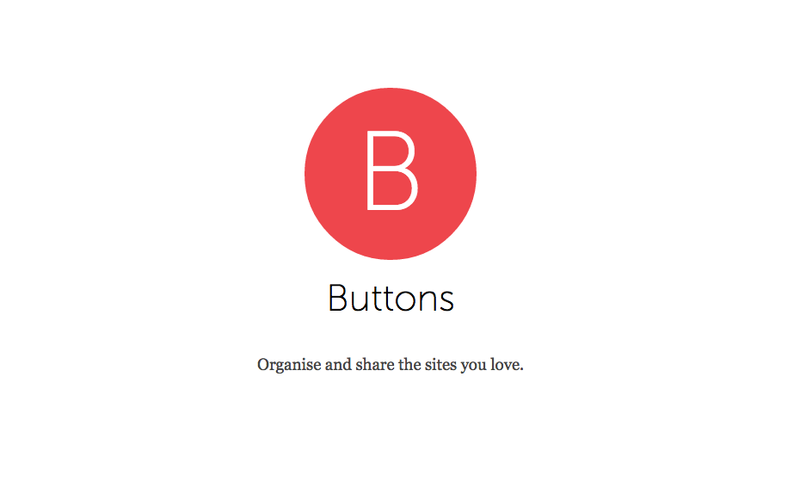 Buttons, meanwhile, has become a simpler product as a result of its journey back through Shift’s more rigorous design process, with stronger foundations and a better framework for ongoing testing and improvement. So what did we learn about Buttons when we took the project back through this process? The need for products that drive digital inclusion is just as strong as it was 2009. Led by Baroness Lane Fox and Go ON, the digital inclusion agenda has gained substantial traction and the combination of public, private and voluntary sector efforts and natural changes in the population means that the number of people who have never been online is decreasing at 3% per year, down to 13% by the end of 2013. But, as the accepted definitions of meaningful digital exclusion evolve, it is currently estimated is that 11 million people in the UK (21%) lack basic digital capability, which relates to confidence in 4 online tasks: send and receive emails, use a search engine, browse the internet and fill out an online application form. The government aims to reduce this number by 25% by April 2016 and we aim to make a meaningful contribution to that ambition. Our original theory of change needed some refinement. Equipped with a more robust research and consultation process, we identified a more specific need for products like Buttons amongst a more specific audience of beneficiaries. Drawing on categories defined by the Tinder Foundation, we identified two key groups: the “digitally dismissive” – those who have access to the internet, but choose not to use it for a number of reasons, principally that they perceive they have no need to use it – and the “digitally constrained” – existing internet users who report that they are constrained in what they can achieve by their level of skills and/or confidence. As it went back into early prototyping, Buttons sought, through direct use or via a friend or relative, to extend the reach of these user groups into vital new sources of information, services and tools. We needed to provide a better structure for responding to user needs. The original version of the product was built through a traditional waterfall process – we consulted with users, developed a spec, built a beta that covered all the specified functions, did some basic user testing, refined it and launched. While that sequential process suits fixed, short-term budgets and timescales, it doesn’t suit an experimental product that needs to respond sensitively and gradually to the complex needs of a user group that is low on digital confidence. The new version of Buttons introduces a cleaner interface design and is a much simpler user experience than the original tool. Combined with much better access to analytics data and a robust measurement framework, we have what we need to learn and refine again and again. Partnerships are vital to reaching and affecting the users that will benefit the most. Pre-launch test activities with partners like the Tinder Foundation and Eon, showed that a simpler tool, in the right hands, could deliver impact quickly and directly to those at certain stages of learning. 76% of learners in UK Online Centres, for example, found Buttons improved to their ability to navigate the internet. These tests also generated a stream of feedback that we could respond to with simple, lightweight improvements. Now that the new version is live, we plan to work with a series of organisations, such as the Citizens Advice Bureau, to design and deliver tests that show its role in supporting groups that will benefit immediately from better access to vital online sites and services. We’re working with a wide range of partners on the next stage of Buttons and if you’d like to talk to us about becoming part of that, please get in touch with ella.wiggans@shiftdesign.org.uk. By Nick | February 19, 2015 This entry was posted in Design Thinking, Digital Inclusion. Bookmark the permalink.